So the results are in and it looks Shegogue Brew beers have been well received. 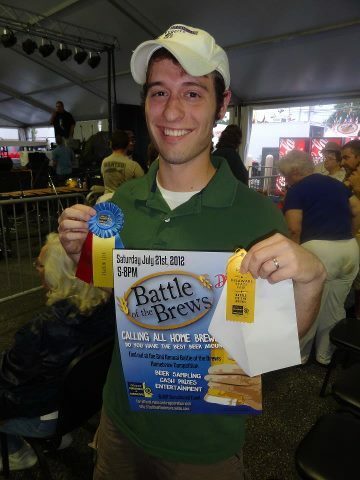 Over the past few months I entered a variety of beers into three BJCP recognized homebrew competitions: F.O.A.M (Frederick Original Ale Makers) Battle of the Bubbles 2, B.U.R.P (Brewer's United for Real Potables) Spirit of Free Beer, and the Delaware State Fair's Battle of the Brews. 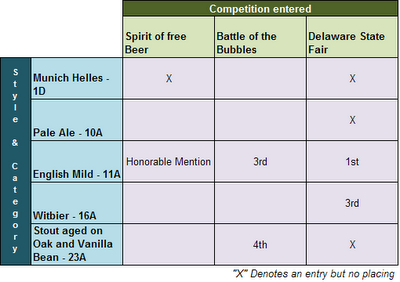 I have compiled the chart below so you can see which beers were entered and and how they did. Let me know If you want a tour at flying dog. We are booked 90 days out. But I can pull some strings. Email me at Jamie.myers@flyingdogales.com.